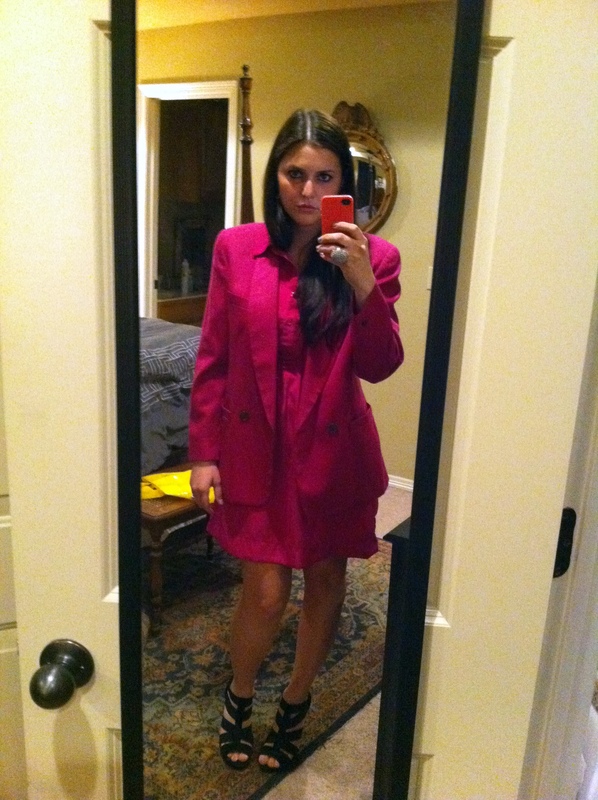 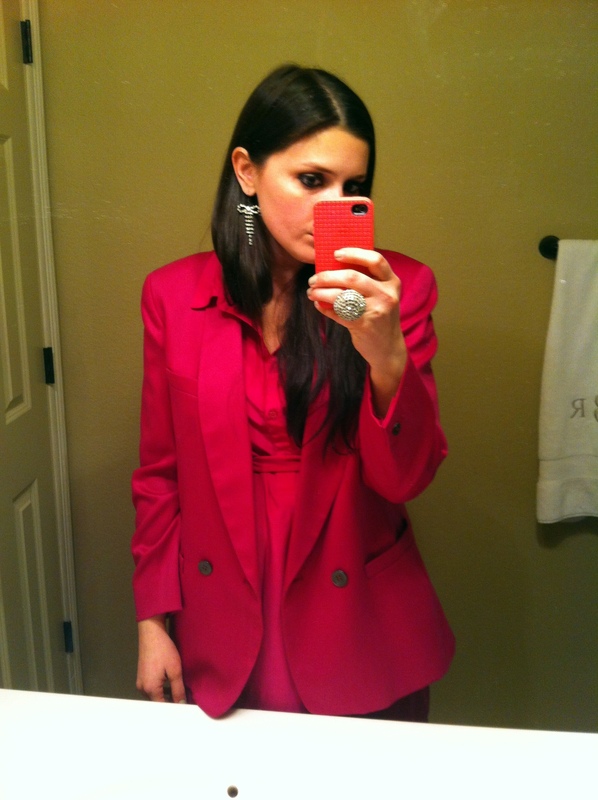 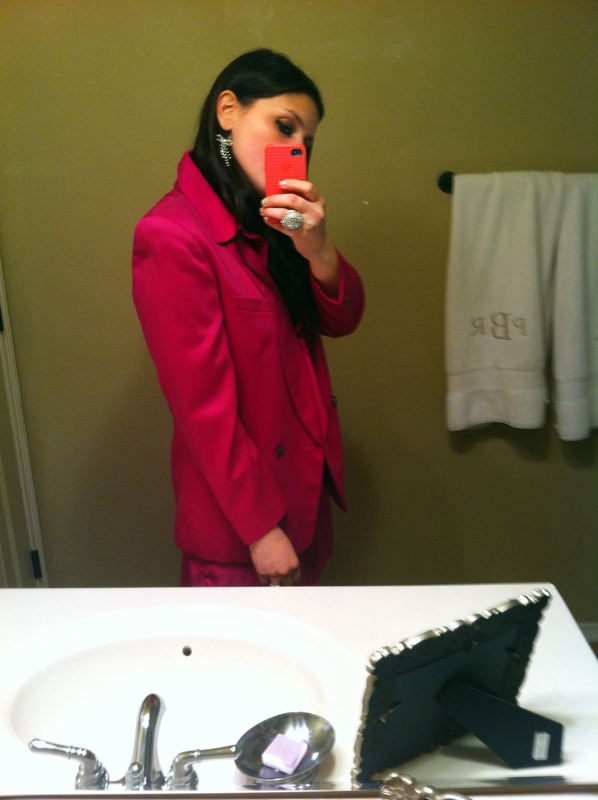 On Valentine’s day evening, I wore the monochrome fuchsia to dinner with my hubby. 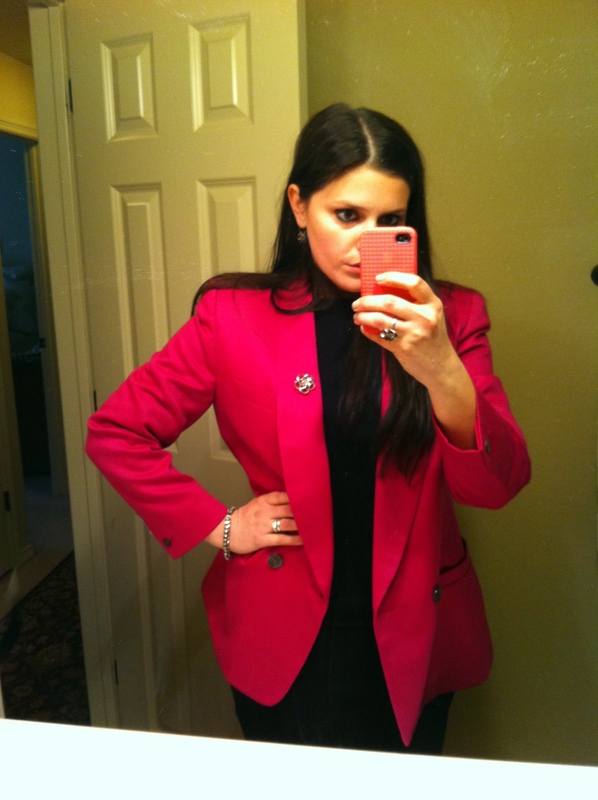 The next day, I was still in a pink state of mind but wanted to mix it up. 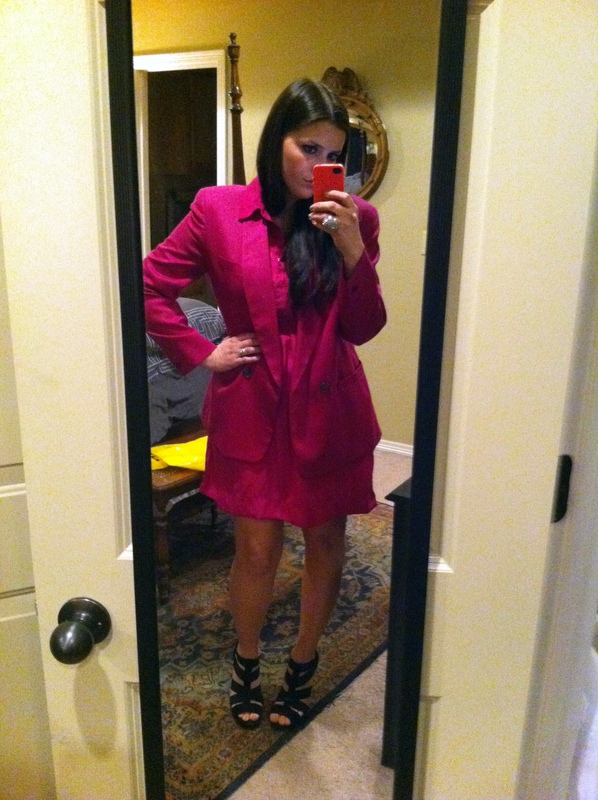 So I pulled the bold blazer on over a black ensemble. 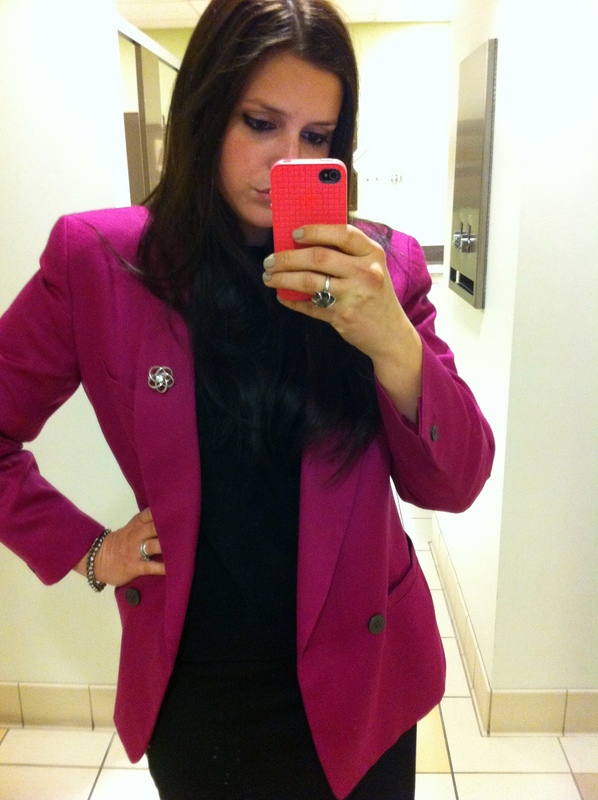 I think I actually prefer the bold fuchsia look!